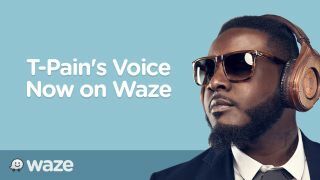 The popular navigation app Waze is now offering users a chance cruise with celebrity rapper T-Pain. The rapper, with his signature auto-tuned voice, can now get you from point A to point B. The T-Pain navigation voice is free to download for a limited time. To download his voice, head over to the menu, select Settings, Sound, Navigation Guidance, and scroll down to find T-Pain. It'll take a few minutes to download his voice, depending on your connection. Waze also offers other hilarious voices to guide you while driving. Currently, users can download the voice of KFC's Colonel Sanders or Shaquille O'Neal too, though they may be expiring soon. You may not be on a boat but at least you can feel like you are with T-Pain guiding you to work.